I’m in the running for a gig for which three people interviewed. Because a friend of mine works at the organization, I was able to find out that they already offered the gig to someone else, who turned it down. I received an email from the hiring manager tonight that basically said, “We’re down to two candidates, are you still interested in the position?” I find it hard to respond to a question like that — I feel like the hiring manager should decide if they want me, and if so they should offer me the position, and at that point they should give me the chance to accept it or turn it down (once I have all the info, like the salary!). I understand that they’re probably just trying to save themselves time — they don’t want to go through the process of deliberating between the two candidates if it turns out that one of them is no longer available. But I don’t like being put in this position — because I feel like they’re asking me to commit to accepting the position if it’s offered to me, which makes it harder later on to negotiate, or to ask for more information, or for time to think. I feel like what’s in my best interest is to write them back and simply say “I’m still interested,” and then see if they offer me the position, and then at that point I can bring up my doubts and questions. However, I’m a little afraid that if I do that, and then end up turning down the position, they’ll feel like “Well, why didn’t you bring all of this up when we asked you if you were still interested?” But if I bring up my doubts now, I’m afraid they’ll take that as “OK, I guess you’re not still interested,” and drop me as a candidate, instead of deciding whether they really think I’m the best fit for the position. What do you think — is this a common dynamic? How would you recommend handling it? You’re over-thinking it. They’re not asking, “Would you accept the job if offered?” They’re asking if you’re still interested, because for all they know, you’ve accepted another job or stopped looking or decided it’s not for you. Saying “I’m still interested in the role” doesn’t mean “I have no questions or concerns” or “I’d accept on the spot” or “Offer me anything and I’ll take it.” It just means that you’re still interested in talking. 2. My assistant asked for her job description — should I be worried? My assistant emailed HR asking for a copy of her job description. She has been with our organization almost two years. She is not the most communicative person, and now I am stressing out about what this means. I don’t want to attack her with “I heard from HR that you wanted your job description” because of course she has every right to have a copy of the job description and I wouldn’t want to make her feel bad for asking. Normally HR wouldn’t share this request with me but our HR staffer is brand new and wanted me to confirm they were sending the correct job description (title was slightly different). But that’s really about all you should say. There are all kinds of reasons she could want her job description — a random realization she didn’t have it and should, updating her resume (which could mean she’s looking, but could also mean she’s someone who likes to keep her resume updated even when she’s not looking), some question about how her role is framed, who knows. Over the past year, I’ve interned with three departments at X organization. I routinely took work home because I wanted to produce quality work and make a good impression on everyone, especially “Mary,” who has supervised and mentored me. I split my time between Mary’s department and one other both semesters. “Toni,” who’s in a third department, supervised me during the second semester when Mary took a leave of absence. Mary’s work was redistributed and since I was the only person working under her, I performed a large part of her role for a major project. Before going on leave, she had told me that hiring me temporarily after the semester was a possibility. In late March/early April, more than halfway through the semester, Mary (while still on leave) got in touch with Toni and me to lay out concrete goals and deliverables. Because I love X, my coworkers, and the work itself, it was easy to devote lots of time and effort there. Although not the only reason, this caused me to fall behind with my graduate coursework and now I am taking an additional semester. It then hit me that my internship with X would end with the semester in mid-May. I expressed my concerns to Mary and Toni regarding the magnitude of the project for this part-time internship split over departments, especially now with a foreseeable end-date. While I accomplished a lot, I did not reach several of Mary’s goals and for that I feel worried. On my last day, Toni said that she appreciated my work and recognized the limitations of the internship, and that Mary would figure things out. Mary just returned and the deadlines for the major project are quickly approaching. I haven’t spoken with her recently and feel a mixture of guilt, sadness, and relief. I want to check in not only because I want to get her feedback and assurance for my current job hunt, but also because I really value our relationship. I would greatly appreciate your advice on how to structure such a conversation. Well, first, no one expects an intern to fully cover for a regular employee who’s out on leave or to meet all of the goals that person normally would have had. That’s why it’s an internship and not a full-time staff position. I’m sure they were absolutely prepared for things not to be fully covered while Mary was gone, and if they weren’t, there’s some delusional and dysfunctional thinking going on there. I suspect you’ve put way more pressure on yourself than what the organization actually expected of you (to the point that you ended up needing to do an additional semester of school — that’s not good!). You can of course reach out to Mary now in order to maintain the relationship like you would with any other former manager or coworker — but it should not be about apologizing for not meeting all her goals while she was out and you were an intern. It should be about telling her how much you appreciated the opportunity, that you hope her leave went well, how’s the baby, would love to stay in touch and have coffee sometime, etc. At work today, my colleague (Colleague A) and I were discussing her current state of job dissatisfaction and she mentioned that another colleague of ours (Colleague B) told her that she applied and was scheduled for an interview for the same position to which I applied. I did not disclose to A that I am also in the process of interviewing for this position, as I do not want to compromise my current employment. During our conversation, A also mentioned that B has been getting information from her friend, who is an admin with the other organization and is currently supporting these executives. My dilemma is that all three of these individuals have now shown a lack of discretion and I really do not want my current colleagues (A & B) to know that I am interviewing for this position. My fear is that the admin will see my name on the calendar and tell B that I am interviewing, and that she will in-turn tell A and (who knows who else?). Is there a way to discuss this situation and my desire to keep my involvement confidential with the recruiter that does not sound paranoid or tattle-y? Are companies allowed to force you to take your vacation days in weekly increments instead of taking a day here and a day there? If so, is there any way around it instead of looking for a new job? Yes, companies can indeed require it. You and other employees could certainly try pushing back, by pointing out that this makes it impossible to take off a day for a local family event, or a long weekend at the beach, or so forth. Generally presenting a reasoned case against something like this is the best first step before deciding to find a new job. (That said, in some jobs it’s wise to require people to take at least one solid week off a year — it’s a best practice in fields that deal with money, because it’s a way to spot fraudulent activity by whoever does their work in their absence, because many fraud schemes require the person to be constantly present to keep it going or they rely on no one else looking at their records). did I push an employer too hard to give me info on a job opening? I had the opposite happen to me once. The interviewer asked me if I was interested at the end of the interview an feel as if I didn’t handle that well. Of course I don’t feel so bad about it now as that company suffered some setbacks which if it had worked out for me could’ve resulted in me not having a job. At this point though i wouldn’t mind if an employer called me later and ask if i was still interested in a position. #2 – You say she’s been there almost two years – Is she due for a review soon? She may want it to prepare for the review so she can highlight her accomplishments in the role and/or point out how she has gone above and beyond by doing things outside of her given job description. Alternatively, speaking of things outside of a job description, maybe she feels she is being assigned things that shouldn’t be part of her role and wants clarification. Or pretty much anything else – it’s hard to know. +1 I had to look at my job description for my annual review to rate my performance and set new goals. Sometimes, it’s hard to remember all the things you are responsible for over the course of a year. My charity runs annual fundraising events, and our responsibilities shift depending on the time of year. There are dozens of reasons why someone would want this. My advice to the OP is to consider how communicative they are being. Are they prescriptive when giving direction? Are they responsive to the employee’s requests? The employee would be completely within their right to go to HR for this information, but I’d want to make sure that I was creating an environment where the employee felt comfortable coming to me with these requests. I recently requested mine because in 2 years I feel I do way more than specified in my description and I wanted a title change that better reflects my duties. Could be the same for her? What struck me was the comment that the assistant is not the most communicative person. The OP seems more concerned than might be the case if she had more information – or a stronger relationship with the assistant. As a manager, sometimes you have to work pretty hard consistently over time to build up enough trust for employees to feel safe telling you what’s going on. This might be an opportunity for the OP to think about whether she has made that investment not only with this assistant but also with any other employees she manages. That said, it’s not the kind of thing that happens quickly, and there are still limits to this even in the best relationships (because it’s still manager-employee). There are also some people who are uncommunicative to the point where nothing would make much of a difference. But these kinds of moments – when you realize you really don’t have any idea what’s going on with a key member of your team – can be opportunities to think about what you can do to improve your skills as a manager. I definitely don’t have the strongest relationship with her, probably an issue of our personalities and the fact that her office is on different floor so we don’t spend lots of time face to face. I’m generally someone that people tend to confide in (even when I don’t want them to) so this is a bit odd for me. Looking back I probably should have focused more on developing a closer more open relationship with her earlier on. I’ve updated my resume for reasons unrelated to job hunting many times. Two that come to mind are an application for a non-for-profit board and for a mentorship program through my industry’s trade association. Related to #2: Is it a Bad Thing to not have a job description? I’ve been in a new job less than 6 months, and I don’t have one. It’s a position that was created out of a need and also to match my skills (so it wasn’t advertised) and is a mish mosh of other jobs at my company. I’ve been meaning to ask my manager about it. Do you have a clear sense of what you’re expected to do, and what a successful performance would look like? Are you and your manager are aligned about that? If so, that’s what’s most important. A written job description would just reflect that. For the most part, yes. My manager is good with feedback and he hasn’t had anything negative to say about his expectations. Also, our company has had/will have a lot of organizational changes in the past few/next few months. Considering that, not having a fully-fleshed out job description might actually be a good thing. Thank you, Alison. It might be helpful to start keeping track of your own duties/accomplishments (which are helpful for your resume anyway) and have a draft of those. Then when things settle down a bit, or at your annual review, you can use to those to assess your performance and help structure your future goals. When I’ve had jobs that have a lot of room for me to define the daily work myself, I know my supervisors have really appreciated my having an informal job description written up. It helps them understand (and appreciate) what I do, where my time goes, and where there might be future needs or room for growth. I’m in a similar situation. No single job title quite covers the majority of what I do. I’m not obnoxious enough to put “I am the IT department” on my resume. My compromise is to put a common job title (Programmer), and use bullet points to show that I also do related-but-distinct-and-highly-marketable X, Y and Z.
I have a similar issue in that my job title doesn’t fully reflect all the hats I wear, but I think this is more an issue of my boss not wanting to differentiate positions, even though we really are. He wants to keep everything so flexible that he can justify anything. That said, I’ve noticed this a lot in IT in general, and the high variability in job titles and duties makes it hard to figure out if a job is something I should apply for or not. This is so common in IT – and I know everyone thinks we think we’re super special snowflakes because “everything is different in IT” but it is and we are. I’m owning the snowflakeyness today. That’s why it’s so difficult when looking if they don’t list a salary range – I do think it’s more difficult for us than some other positions. One of a million examples – a system admin can be anything from what is basically tech support to a network engineer with management responsibilities or any of the zillion combinations there of. And of what? A start up with 10 people? A SMB with 200? Or a multinational company with tens of thousands of employees and branches everywhere. No company listing, no specifics, no dollars? They could be offering anywhere from 35 – 100k+. I do think job hunting is harder for us in part because of this and in part because often the ads are written by people who have no idea what we really do and they don’t make sense. Hiring managers need to write the ads for technical positions – always – every time. HR is good at many things, but unless they are technical themselves they probably aren’t good at this. I was just thinking yesterday about a related issue, Jamie! When hiring for software positions, desired experience is always about time periods: 1-3 years, 3-5, 5-8 years of Java programming experience. But those numbers are functionally meaningless! I have known people with 6 months of Java programming experience who are better at Java programming than people with 19 years. I have just over 10 years experience in software development, and there are people senior to me who have fewer years and people junior to me with more experience, and I think our relative positions are fair. Time is meaningless. Years of work are meaningless. What’s meaningful is the set of responsibilities you’ve had and how you’ve performed. What’s great about IT is exactly what you said – it’s all about what you can do. Now. Not degrees, not years at specific things…none of it matters if you can’t do what you need to do. A good hiring process vets for this. And we are more easily vetted because our stuff tends to be more black and white. It works or it doesn’t, it’s secure or it isn’t. The code compiles or it crashes. The formulas calculate correctly or they’re wrong. We have shades of gray as well (not 50 of them though – we’re busy) in soft skills, communication, managerial stuff, but we could be awesome at all that but if we can’t keep our stuff working properly in a live environment we’re out. I am in a similar situation – no real job title and too many different types of tasks to really come up with one on my own. I have tried to pitch “data monkey” and “office wonk” but they just elicit laughter (which is the spirit they are intended). It does make it more difficult to explain to people outside my department and the company what it is I do (because I look like an admin. assistant but I am more than that because I have projects that I manage outside of that). Luckily, for resume purposes, I can just call myself “contractor” until such time as they make this position permanent and then someone else will have to figure out where I fit in their matrix. I generally go with “Queen of Data Mountain,” myself. Ha – that was the title of the job description when I took this job. I pointed out that I needed a title that pertained to one actual person. Although I should have kept it so when department heads are vying for favor I could trump everyone by proving that I am not only the department head – but the very department itself. And then I’d laugh maniacally and people would fear for their safety. I think the title should be Supreme Ruler and Overlordess of the Department. 2. It says in the question that the job title was slightly different, so perhaps the admin wanted to cross reference that the tasks in the job description were the same? Re #5 — I never knew that 1 week vacation best practice about companies that deal with money! I used to work for a bank, and that totally makes sense now. Luckily for me, I had to take one stretch of 5 vacation days, but the rest could be used whenever we liked. Perhaps that could be a possible compromise for the OP too. We had that actually happen. Luckily it was an underling in finance and luckily the amount of money was under $25,000 but apparently vacation is a magic key to discovering shenanigans. An investment firm that I worked with actually required you to take 2 of your 3 weeks vacation all at once. You could make a special request to break it up, but it wasn’t often granted. My husband works for a bank, and they make him do this too — good thing, because he really is a workaholic and it forces him to go along with my vacation plans. ;) (He keeps telling me that his boss is encouraging him to take some time off, and my response is always, “DUH! DO IT!”) My company has no such rules, but I have a generous PTO allowance and I, unlike him, am careful to use every nanosecond of it. I’d be annoyed if I had three weeks and was told I had to take two-thirds of that at once, though. What if you like to spread out a couple of one-week breaks during the year? I would think a week away is enough to force most fraudsters to have someone else cover their work and get found out. My husband used to work for UPS. They had to take most of their vacation in solid weeks due to scheduling coverage. Our company is the same way. It is very hard to get coverage four weeks in a row for Monday’s only! When I was in banking, they forced the two weeks so they had time to a) find you out and b) carry out a thorough audit of your work, which might take longer than a week. I am in the UK, however, so it wasn’t as onerous as it is for someone with as little as three weeks’ leave. Hearing it called “as little as three weeks’ leave” makes me so sad. My company gives 3 weeks vacation your first year working there, and I thought that was insanely generous. I’m taking two weeks this summer and was terrified I’d catch flack for it. I had a boss at a temp job tell me if I took more than one day off for a major surgery my mother was having, he’d replace me. So I had to choose between being at the hospital with my dad the day of my mom’s surgery, and being there to help out the day she was released from the hospital. I’ve spent a good chunk of my career in fraud related roles. I like to say that there are two types of companies – those that are handling an employee fraud case and those who just haven’t detected it yet. I’m really cynical when it comes to human behavior. I’ve seen fraud and theft happening from the CEO to the night janitor and everything in between. When I worked at a bank, it was the same way for me. You had to take one week of straight vacation, and then you could use the rest however you see fit. I still work in finance, and my current employer doesn’t require it. I’ve always found it odd that it wasn’t a requirement here, especially since people rarely take an entire week off at once. Two of my coworkers specifically only take a day here and a day there. I don’t think anything underhanded is going on, but if it was, it would be very difficult to detect. First professional job I interviewed for after getting my advanced degree was with a Foundation. I didn’t accept the job because I had a gut feeling; the person who did discovered everything we were told was a tissue of lies and later it was discovered that the President had his hand in the till. A long time professional association that I belonged to discovered the long time revered accountant on staff had embezzled for years. Because the treasurers were all elected volunteers, they had accepted the paper she presented and never discovered this. Finally a treasurer with more accounting experience actually dug into the real bank data during a period when the association struggled financially and discovered the long term fraud. And I know of several small businesses where employees have embezzled. In most cases the people involved were trusted friends of the owner. Right, the most successful frauds will be perpetrated by the most trusted people, because they’re the ones with the best access. I found out (fairly recently) that Romanian law requires all employees to take 2 weeks straight of holiday every year (we get 4 in total). Everyone ignores this. I didn’t know that either — it makes perfect sense! How interesting. Yep. I’ve mentioned this to my boss since I have responsibilities in finance as well as IT that I should totally be forced to take off at least once a year, but twice would be better just to be totally sure I’m not spending all my time funneling money to my Swiss bank account. But alas, it doesn’t apply to those of us laboring in my industry – so being trusted enough that no one feels the need to check up on you has it’s disadvantages. In all seriousness I love that they do this in financial institutions, though, I think it’s a really great idea. I think what I find surprising is the bank made zero mention of the true reasoning. They gave the typical, “Oh, we just really want our employees to recharge!” Not that that isn’t a part of it, but come on, monitoring for fraud has got to be a bigger concern for them. I wish they had told me that; it would make me understand and even respect the policy more. So long as a company doesn’t force me to use PTO over the Christmas holidays (which one of my employers did, ugh), I can deal with having to take five days off in a row. I am one of those people who absolutely uses my vacation every year, and would gladly take two weeks more. So it’s fine by me! #5 – That’s pretty selfish behaviour from the company, especially if you only get two weeks a year (which I understand is normal for US workers). This is really going to impact on your personal life, so I would try and club together with other employees and, as Alison says, push back. That requirement makes sense, but it doesn’t make sense to ONLY allow vacation in increments that long. It shouldn’t be that hard to implement a policy that requires you to take one vacation at least 1 week long (or 2 weeks depending on the banking thing) and allow any other days to be taken individually. The vacation policy seems unnecessarily rigid to me. I’ve known people that have racked up 4-5 weeks of vacation per year and would have balked at not being able to take any days individually, even though they would usually take a week for a family vacation sometime during the year. I disagree, with a policy requiring week long vacations being selfish. I think it is great because it means managers can’t force you to not take time off. It also means that managers can’t be surprised when it happens and should be preparing with cross-over training or, if the department is large enough, enough staff that you can always have someone gone for a week without being undermanned. Without this type of policy, I could see a manager always saying that you can’t take more than a day or two off due to workload. The manager’s question to OP#1 sounds very logical to me, so I don’t think you should worry, OP. Especially since you know the background (I would guess that candidate #1 declined because he was no longer interested). A good hiring manager will want to check that his finalists are still, well, *his finalists*, and haven’t accepted another job in the meantime. I got asked this question a lot while I was interviewing, and it was usually because the hiring process took a long time. One recruiter called me every 1-2 months last summer to ask if I was still available for a certain opening… I think that client still hasn’t filled the position. #5, that really stinks. I would be so frustrated by a rule like that. I will say, though, that I think the US trend towards taking microvacations is probably a contributor to our high stress levels: we need real time off from our work lives, and you don’t really get a noticeable reset with much less than a week off. I can believe that the reason for a rule like that is to try to make people actually get the break they need. If I had a company to run and the flexibility to do whatever I wanted and give plenty of time off, I’d really like to have a rule like, “You have ten anytime vacation days, and then a 2-week vacation that has to be taken in one chunk.” That would give flexibility for single-day needs but also be sure people got the chance to really reset themselves. The problem is a lot of workers only start out with 10 personal vacation days total a year (my company has 11 company holidays, and new employees get 10 personal vacation days). So if you have to take 5 at once, that only leaves you with 5. So if you want an extra day at off around holidays (July 4th, Thanksgiving, Christmas, etc) and have more time to rest, recharge, and travel, you’re going to run out fast. I think employers should give more vacation so employees can take a week off and still have enough days for holidays, long weekends, etc. At Exjob, we got two weeks and that was the most I’ve ever had. You had to be there seven years before you could get three weeks. When I was in an LDR, I ended up using every bit of it–it would have been nice to have extra. I had an online friend in Paris once who said the way American employers don’t give much vacation was “barbaric.” Most of us were agreeing with her. Same here, I would not want to burn 1/2 or 2/3 or even 1/3 of my annual vacation in one go. I’m not in a position where there’s a fraud risk, so there’s no need for it. Plus, at some companies, the sick and vacation come out of the same bucket (or so I’ve heard), which makes it even worse because you could get sick later and not have any time left. Just once in my career I had 9 days off in a row. It was a weird alignment of the calendar and how scheduling worked over the holidays and our shutdown…so during that time I did a couple of hours from home each day and I’ll be honest…it was kind of great, but at the same time I started to get really twitchy being away for so long. It helped that everyone was away and the office was closed – but I kept reminding myself I do have a job because it was making me nervous. I don’t relax well. I don’t know that I came back all that recharged because we came back to do end of year and I did 86 hours in 5.5 days…so if I was recharged I blew through that battery fairly quick. Because of my schedule and the holidays, this past Christmas I was off starting December 20th and didn’t return until January 6th and used a total of six vacation days. I was going abroad the first week and knew I wanted the second week to relax before going back to work, but yes, it’s easy to get twitchy after being away for so long. Over Thanksgiving last year, I took off a total of 11 days. I shut off email to my phone before I left work on the last day before vacation, and I didn’t take a computer with me. I did have my iPad, but we were on a cruise ship for most of the time, so it was primarily for reading e-books. It was heaven. I’d been putting in 12 to 14 days for almost 2 solid weeks before we left, thanks to some unforeseen problems that I was pretty much the only person who could take point on, but even that I handed off. I had just had to cash in 200 hours of vacation, as I was maxed out and losing earned time every pay period (that money helped pay for the cruise). When I got back, I had nearly 4k emails, even with the holiday. I was okay with that. I can honestly say that would have never occurred to me. Interesting! Same. I wish I’d thought of that strategy when someone was lifting money from the registers at the store I worked at. That’s because (I assume) you’re an honest person, and doing something fraudulent would never occur to you. A friend of mine worked for a large credit card company years ago, and she told me once that a co-worker of hers, who was considered to be one of those employees who can absolutely do no wrong was really embezzling huge amounts of money (like hundreds of thousands of dollars) from the company. She was generating phony refund checks, and then sending them to her boyfriend in another city, who was then cashing them. Or something like that. It went on for quite awhile because she’d been very careful to always cover her tracks. Then she took a week or 2 of vacation, and someone had to get into her desk to get something. And they found some paperwork she’d forgotten to shred before leaving, and then the whole thing came unraveled. A client of mine got busted for a similar scheme last year. She was the absolutely A++ Senior Darling at this company…until she got busted for embezzling large sums of her accounts’ money. I have to say I always thought she was a little off and that the company wasn’t particularly well-run, so I could see how it would happen. From what I’ve heard, she got caught when she took an extended health leave or something like that. Someone in this area got caught when they were *literally* hit by a bus and confined to a hospital bed for some time with various broken bones. I know someone who was caught (not embezzling, but some generally shady practices) when they had to go to the hospital for surgery. Then I also had a moment of thinking about Peter Wimsey’s colleague whatshisname in Murder Must Advertise, and how he flipped right out when someone rewrote one of his slogans late in the day when he wasn’t there, because [spoilers]. Lord Peter Wimsey — I remember the episode on Masterpiece Theater perfectly. I work for a bank, and we are also required to take one solid week, for the reasons Allison listed. The other days we can take as we choose, and there is always the option of taking an hour here or there and making it up during the week. OP #2, I wondered if your assistant was prepping to ask for a raise. She may wonder if the work she does is above and beyond her job description, or if it’s squarely in line with what you expect. You mentioned she’d been with you for almost two years–is this a time in your organization when people begin to look for promotions, raises, or other types of recognition? People keep job searching under wraps for all sorts of reasons. One of the big ones is that if you’re interviewing and there’s any kind of issue at your current job, it’s going to be viewed through the lens of “Well, she’s leaving anyway, so she’s checked out and that’s why she messed up.” Some companies will also try to push you out ASAP if they know you want to leave anyway. It sounds like in your example it’s office chatter for someone interviewing for an internal job (since you mentioned department). That’s generally less confidential, but if you’re interviewing for jobs at other companies, most people don’t want teir current employer to know you’re thinking of leaving, because many people have employers that will treat you differently or push you out early if they know. That’s why it’s commonly accepted that reference checkers won’t call your current employer unless they’re going to give you an offer. opposing opinions. Many people care about the inequity of privledge allowing some to work for experience not money. More unpaid internships further disenfranchises the poor. As the very next sentence in that paragraph points out, we don’t even know if the internship was unpaid. It’s not stated in the letter. I don’t think Alison was vilifying opposing opinions. I think she was preemptively trying to minimize people getting too far off topic from the OPs question, which has happened with this topic before. Screams? I think that is a provocative word to use. I’ve read some of the conversations on herer related to unpaid internships, “screams” is a pretty accurate reflection of some of them – on both sides of the topic. And not just on that topic, it could apply to a number of things. It’s a common phrase. And anyway, it’s Alison’s blog, who are we to tell her what she can and cannot write? +100 If you don’t like what Alison writes, you’re not required to read the blog. Given the difficulties she’s been facing in the comments section over the past few days, I’m not going to begrudge her use of strong language. On just about any issue, there are 2 types of people who care about it. There are the people who have strong feelings about it, care passionately, and work to fix it through action or education or both. Then there are people who have a nearly pavlovian response to seeing it mentioned, and will scream about their viewpoint any time it comes up, even if it’s only tangentially related to the issue at hand. For people in the former category, she wasn’t talking to them. Yes, exactly. Thank you. Sorry that the word rubbed some people the wrong way — wasn’t my intention. Whatever you believe about internships, the truth is there are a LOT of internships where the intern is unpaid, expected to work more than 40 hours a week and do the work of a paid employee. This happens quite frequently because intern laws are rarely enforced, so I think it’s unfair to discount that this might be a possibility for the OP. But Alison is explicitly saying she doesn’t want this question about how to handle a specific issue to turn into a discussion of the issues surrounding unpaid internships, so we should respect that. Organization X did not pay me. Fortunately my graduate program is funded. How can it be an opposing opinion if you don’t know all the facts? The job title intern does not mean working for experience not money. I interned all throughout my graduate program, including filling in for someone on maternity leave, and I was paid very well. Interns in my company get treated better than permanent employees! One of my coworkers just caught a ration of crap from one of the EAs because we needed a desk for a new employee but couldn’t get one near us because the “good desks” are being saved for the interns. #2 Two years is also about the right point to start looking at professional certifications. Since “assistant” is pretty vague, I have no clue if there are professional certifications relevant to this employee’s position. I do know that for my professional certifications one of the first steps is providing a current job description to the certification authority. #4: I was kind of confused by this one. Sue who works at OldBoss’s company told Jane that Wakeen was interviewing for a job. Jane then told OP about this? That is a lot of gossip going around at both workplaces. At least assuming that Sue knew Jane knew Wakeen. If Sue didn’t know that Jane and Wakeen worked together I think it is much less worrisome, but unlikely. All that said (and hopefully understood) Jane has likely told all the people she’s excited to tell about Wakeen interviewing elsewhere. Keep an eye on Wakeen who is kind of your canary in the coal mine? If supervisors treat him differently, he gets fired etc…then be concerned. If not Jane might be more choosy with who she is telling that you’d expect. She might have told you assuming you’d be applying there because she knew your OldBoss worked there. #2: Other reasons she might want it: going to do volunteer work and wanted to update her resume for that. Creating a bio for herself for any number of reasons. She might be someone who updates her resume/work information regularly and does it for that reason. She might also want to have a conversation with you about some of her job duties and wants to come at that from a well informed place. Or she has a performance review coming up. It’s also worth looking to see if she’s getting enough regular feedback (always a good idea!). #5’s admin might also be creating or updating her LinkedIn profile or something like that. Re:#4, yeah I am also not really sure what is being described here. It sounded to me like B is interviewing and getting advice from the admin, and B told A about it, A told the letter writer… What’s the issue? I guess she’s worried that, if A told her about B’s interview, she might tell other people about the LWs if she knew? But then I’m not sure how the admin comes into these worries– that she’ll tell B, and B will tell people about it? 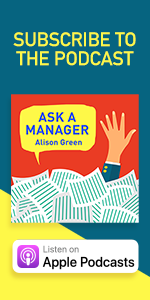 #2 – I don’t think there’s necessarily anything wrong with having a copy of your job description, but approaching her with the phrasing Alison gave you would at least open the door if she has any issues. In some industries, for compliance with certain regulations, it’s actually required that all staff be able to access copies of any job description. #5 – I can understand the financial industry reasoning for this, but it seems odd for other types of companies. I would hope that the OP could still take one day off if they had a situation to deal with or a family emergency or something like that, especially if they are an exempt employee. It’s not odd for service type industries. In our office/field typically Mondays and Fridays are heavy phone and customer serivice days. As well as busy delivery days. So if I have one or two out of ten people who want every Monday and Friday off in July. It would be a nightmare. We have the weekly block policy as well. I wish more businesses required employees to take a week at once. My employer allows you to take as little or your max vacation time as you see it. That has created a situation where my workaholic coworker never takes more than a half day off. I feel that its actually hurting the team; by not diversifying job responsibilities she ends up being the “to go to” person, while the rest of the team knows very little about processes we should be trained on or have a greater understanding. I’ve asked my boss when I first started if we could create a “hit by a bus” plan. He felt that wasn’t needed, so we’re stuck in a standstill. Tasks that really should be my job are still being done by her, and it rankles at times. It’s really irritating when you never have a backup plan, isn’t it? Things are going to get really bad when your coworker gets sick or has a family emergency. You know I started asking about this in my audits a while back. Anyone who has critical roles I ask who else is qualified and if the answer is no one and it would wait for them to get back if out sick I involve the appropriate ptb to work on crosstraining. It’s not just for the disaster prevention if they quit or the proverbial bus comes (although, that’s huge) it’s also because I’m trying to make a little difference for people personally because I know first hand if the less fungible you are the harder it is to take time off – and can be impossible to take a solid week off unless the planets align and the whole company is off. I want to help position people so they aren’t so chained to their jobs. I’m a big fan of redundancy. Some appreciate it, some resent having anyone else learn X since they liked being the only one who knew X. Yes, and despite anyone’s work ethic, people do need to recharge. Those little bits of time here and there, even with long weekends, aren’t enough–just as you begin to relax, it’s time to go back to work. I’m soooo grateful for my upcoming holiday. I desperately need those eighteen days to completely recharge. Being unemployed for a year did NOT count. And I think the change of scenery will do miracles for me. Its super irritating when you are trying to initiate cross training (as the one with the skills that others need to have- in my case setting up and running webinars) to have your manager agree, to have the person to be cross-trained (finally) agree, to have those who you are working with agree (the person to be trained & I were in mirrored positions for separate product lines), and after everyone else signed off to have your manager go to the other manager as an FYI and get shut down- then the Exec. Director sides with the other manager (saying- its not important or pertinent right now) because the other manager had been around longer. (Which meant coming back from anytime I took off- including having the flu, an out of state family funeral, and other pre-planned time off miserable- because I would come back to a doubled work load after I would cover for her while she was out of town). Sorry for the rant… its a major pet peeve since I have been in two separate offices fall apart when we had people out for things out of their control. Yeah, it sounds like the vacation time is a symptom of a bigger problem, which is too much responsibility & knowledge concentrated with one person. From what Coffee Workers says, though, it sounds like this is the type of coworker who would drag themsleves in sick with the flu or only take half a day for the funeral because they don’t want to eb at home. And this is the type of situation that the forced week long vacations are good policies for. Imagine if that employee is your boss – she has set a standard that most poeple woud resent. By having this policy in place, employees feel free to take the time off they have earned/need/deserve and no boss can tell them otherwise (I mean that they can’t take it off ever. The boss can still tell you that that week is not available for a vacation and you have to choose another one). Poor management on the part of your boss – I would find that really frustrating. This stuff really happens, and not having a plan for it is just – bad. You might even be able – with a few judicious comments to co-workers in the right environment – create a bit of a ground swell of this activity over time with individual requests, each of which sounds innocuous on its own. You could also start by cross-training Complicit Co-worker and doing a little professional bragging. Workaholic Martyr might feel differently if she is suddenly the only one not participating in the cross-training initiative that sprung up around her. The success of this approach depends on how manageable your boss is (or how cooperative your co-workers are) but I thought I’d mention it. Good luck. I worked with a nutty woman once who would never voluntarily take vacation. Her manager had to force her to take a week off once or twice a year. I think the only reason was so that she wouldn’t hit her vacation accrual ceiling, but nonetheless, she wouldn’t take time off unless she was directed to do so. Her office (and then cubicle later, when everyone was moved around) was set up specifically to prevent anyone from being able to see her monitor when they stopped by to talk to her. In the cubicle she had a stack of 6 or 7 office trays to block the view of her screen. Her work area was always an unorganized mess, and no one would have ever been able to find anything in there if they needed to. This was all done to keep people from figuring out exactly what her job was. Her manager must have known, but beyond that, no one else did. The big reason for this was that she was older (probably mid-to-late 50’s), and her husband was unable to work. So she was the one with the insurance. He had some sort of congenital heart defect and had been on the transplant list for a very long time. So she was petrified that she’d lose her job, and then be unable to pay for a heart transplant. I did feel sorry for her, because it’s got to be terrible to live under a cloud like that, whether you’ve put it there yourself or not. But that’s not the way to handle it. She would have been much better off not only cross-training people, but also trying to learn new things and increase her skill set to make herself more valuable to the organization. I know someone like this at my job now, incredibly paranoid about her job, she guards her work like making sure no one else knows IS her job. Sadly she’ll be the first person let go from out department. I keep trying to encourage her to show other people what she does so they KNOW how important she is, but she refuses. Meanwhile I constantly train people in on my job so I get new duties and become more valuable to the department. She sees this and just can’t quite figure out how to do the same thing. I wish there was a way to make people who hide their jobs understand how hurtful it is to them. That’s sad. But I guess you always hear about how when layoffs happen, they lay off redundant roles, right? So perhaps that’s why folks like your colleague are afraid to cross-train. I think the key point is that you cross-train — and then take on NEW duties. That’s the whole point. If you just cross-train and keep doing what you’re doing, then yes, you are more likely to be truly redundant and on the chopping block during layoffs. We have someone like that – never writes anything down, never documents anything, hordes his vendor contacts. But he’s not a superstar, or even an averagely competent worker, so when we had RIFs recently he was first on the chopping block. Another good employee is also being laid off because her position is redundant, but she’s already found another position. She was able to get some help in that arena from our manager precisely because she’s good, whereas no one can ethically recommend bad co-worker to another firm. In my, albeit limited, experience, people like this are often mediocre workers in the first place. That actually could be the source of their paranoia, although they misunderstand what the solution is. #3, one thing that jumped out at me was your phrase, “While I accomplished a lot, I did not reach several of Mary’s goals”. I read it as she is referring to “Mary’s goals” as what they discussed for her when she and the other supervisor and Mary had the call to set goals for the OP. I hope the OP has had her worries quelled by posting, because I’ve personally never been on a major project where goals (and especially deadlines) didn’t change at all. I’m not referring to loose projects with fluid and ever changing end games – because those would make me bleed internally. I don’t lead those. But you set goals and deadlines and as things progress you realize you need A and not B as you had originally thought, or you see that Buffy would be an awesome addition to the team working on X, but you needed to move the schedule a little to bring her on board. Unless this is Mary’s first major project, she’ll know this and she’ll know that deadlines are based on estimates – some better than others based on the info you have initially and what kind of variables are in play. Oh, hm. Having reread it, I think you’re probably right. I was interpreting that differently, as them laying out what Mary had needed to accomplish and the OP not getting it all done. I will add this, though: failing to meet all of your goals despite pushing hard can be a fantastic learning experience. You learn something about your capabilities, you learn from how you handled stress. OP, if you can, I’d try to schedule a post-mortem on the project with someone you see as a mentor. Describe what challenges you had, both anticipated and unanticipated. Talk about what went well, what went not so well, what you learned… Even if you can’t talk with someone about it, take some time to organize your thoughts about it. You may have just had one of the most valuable internship experiences you can get. The goals I referred to were the specific ones Mary defined in that threeway-conversation between Toni, Mary, and me halfway through the second semester. For other organizations with projects of a similar scope, the research phase could take between 6 months- 3 years. I spent 9 months total on the project but about 3 months on the research and planning phases. Thank you Jamie. Your post, Alison’s helpful advice, and the advice of others has indeed assuaged some of my worries. #5 – I can see both sides of this – both from the company’s view, and the employee’s view. My personal experience with the mandated vacation time wasn’t positive. At my first job, I had 10 days of vacation time per year, a young child in school, and had to use 4 days + 4th of July Holiday in July, and 4 days + Christmas holiday in December. That left 2 vacation days for the entire rest of the year for doctor’s appointments, sick child issues, etc. It wouldn’t have been so bad, but as an hourly employee, I was subject to attendance points, so if I was late, or my child was sick, or I had to go to the doctor, and I was out of vacation, I was penalized. 12 attendance points within any rolling 12 month period resulted in termination. I think if companies want to mandate taking vacation in 1 week increments, that’s their prerogative, but please don’t penalize employees with threat of termination when you tell them when they have to use their vacation time and they need those days other times during the year. +1 on not knowing about 1-week policies, or knowing that it’s a good way to catch financial malfeasance. +1 also on being a parent and needing vacation to cope with not being able to work part time in my field while I have a younger (up to not driving age) child. Kids grow, and it’s worth it to keep the job since I won’t find a comparable spot in this town. It can really add up for their different appointments and the odd time school has an event in the daytime. Another issue is that as nice as it sounds to take a week or two off and go on a more typical vacation, parents are at the mercy of the school year. I know some families will take the kids out to go away somewhere, but we have decided against it. As the Darius Rucker song goes, “it won’t always be this way”. Until then, I need my PTO for some flexibility. Manufacturing? That’s super common and a real issue. Yes, it was a manufacturing company, but I was an hourly office worker. Only hourly people were subjected to the forced vacation and attendance points. It was frustrating to be dinged 1/4 attendance point because you got behind a snow plow in the morning, and got to work 3 minutes late, when your boss could stroll in an hour late with no consequences. #2: as others pointed out, there are many reasons your assistant would want her job description that having nothing to do with job searching, and she could certainly search for a job on the DL without having her official job description on her resume. #4 Ugh. Why do people treat job hunting as gossip? Leaking that someone is looking could be so so damaging. And why do employers, especially those who are just weird to their employees, treat job hunting and leaving for another position as a betrayal? It’s not as if we are indentured servants or permanently assigned to one company for life. It’s a strange thing, and I think some of it is a holdover from a previous age of employment when people would stay at jobs forever. I think as newer management takes over employers are going to be less like this. I’ve had bosses who would have clearly been sad to see me go, but who I also had frank conversations with about the fact that I was looking for a job, one even referred me to another position. I had to reread the #4 post and I now see that the OP was inquiring about following her old boss to a *new* company. I hadn’t caught that first. I’ve had a couple really terrible bosses in my time (I’m talking about you, MJJ) but they all understand the basics of business which is that staff come and staff go. No, I don’t think intent has to be malicious in order for something to be considered gossip. Example: You have a hunch coworker is pregnant and talk about it with another coworker. You might be really happy for her and have nothing but good intentions, but it’s still gossip. Or you hear a coworker you like is going to get promoted and mention it to another friend at work – not malicious, but still gossip. Yep, agree. And I think casually discussing who has or might apply to jobs is completely out of line unless you have their explicit permission. I’m glad I don’t carpool with you guys — tough crowd! #5 – It’s also possible that the company has decided that making people take a week vacation is actually less disruptive than having people take several long weekends (although this is still annoying and inconvenient). Most people will plan a week-long vacation in advance, but a lot of people won’t plan a one or two-day vacation in advance (excluding things like doctor’s appointments). Granted, if this was a problem there are better ways to solve it than making a blanket rule about vacation time. At my company, we’ve several times had employees who max out on vacation time (aka, they’ve let it all stock up) and then start taking occasional days off here or there to use it up. 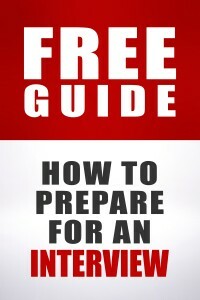 #2 -Why are you so freaked out about your assistant asking for her job description? My spidey senses can’t help but wonder if you are worried because you know she has a legitimate grievance about something (example: I’m an EA and my job description mentions that I am not allowed to do personal work for my boss due to company policy. My former boss gave me personal work and I could have whipped out my job description and put a stop to it if I wanted to). #1 I had something similar to this happen for a job I interviewed for recently. My would-be supervisor contacted me to gauge my interest before making a formal offer. So although I would not have been accepting the job at that time, if I said yes to her, she most definitely would have expected me to accept once a formal offer was made. In that case it was a state job and it sounds like they wanted to know if the person would accept before offering the position (possibly because of all the red tape and time involved with a new hire and needing to get a certain number of people on staff by a certain time). Fortunately, she and I had really hit it off during the interview, so I was able to ask her about all this and get good feedback and get a few days to think it over before giving her my answer. This was for a term position with a set salary unlike your case. I think in your case, by saying you’re interested, you’re simply leaving the door open. I don’t think it would hurt to mention that you’re also interested in learning more specifics about X, Y, and Z (pay, benefits, culture, etc.). I think if you keep it on a positive note, that lets them know you still are interested in the job but have some legitimate questions you want resolved. #3 Remember that your internship is for you to provide valuable work to the organization and for you to learn something. It sounds to me like you’re putting a lot of pressure on yourself above what the company expected, especially if you put in extra time. If you were contracted to work a certain number of hours (as I have been for certain internships), they should have had some idea of what you should have been able to accomplish within that time. I would suggest reaching out to Mary to see if she can meet you for coffee or lunch to informally discuss how your time there went. It’s always helpful to have a wrap-up session to see how they think you did and to give them feedback from your perspective. You might find that they think you went beyond their expectations, or that they had no idea you took work home, or that they did not realize that some of their goals were unclear–any number of things. This should help you rest a little easier and evaluate yourself honestly so you can recognize your strengths and improve in some areas. It might also help their future interns as they better understand how communication and time limitations affect interns. Thanks AAM and others! I ended up telling them that I wasn’t still interested in the position. I think the reason I was overthinking it was because I was really ambivalent about whether or not I still wanted the position. And I felt like I’d rather make that decision with an offer in hand, rather than making it before I received the offer. Partly this is because I was curious whether they’d offer it to me, and I wanted to see how they would present the offer and what additional information I would get at that point — even if I ended up declining it. And also, I think it’s just harder to make a decision without knowing whether they’re going to offer it to you — you don’t really know how you’ll feel until you get there. Maybe if they had offered it to me (especially depending on the way they offered it and what other info I got), I would have gotten a different gut feeling that would have swayed me to accept the position. As it was, though, I decided that I couldn’t say in good faith that I was likely to accept an offer if it were to come, so I chose to withdraw from the process at the juncture at which they asked me if I was still interested. Just for the future, “interested” doesn’t equal an automatic yes. It’s more like, you’d be interested to see the offer. Thank you AAM for your thoughtful advice and encouragement to reach out to my former supervisor, and thank you to the others for weighing in. I have real perfectionist tendencies, and because the project, people, and place were so wonderful at X, I wanted to do it all. When we meet for coffee to reflect on how things went for the internship, I’m at a loss for how to candidly respond to a question such as, “Did you feel overworked by the demands of this project?” The answer is a resounding yes. Was I overly stressed? Yes. Am I resentful or angry with Mary or the organization? No, but a somewhat disappointed and saddened that they did not hire me on to finish the project. I don’t want to sound defensive (“I would have liked to accomplish more of your goals but they were implausible”) or pity-provoking (“I regularly took work home with me”)? Just say yes, express how much I enjoyed the work despite the stress, and then switch subjects? 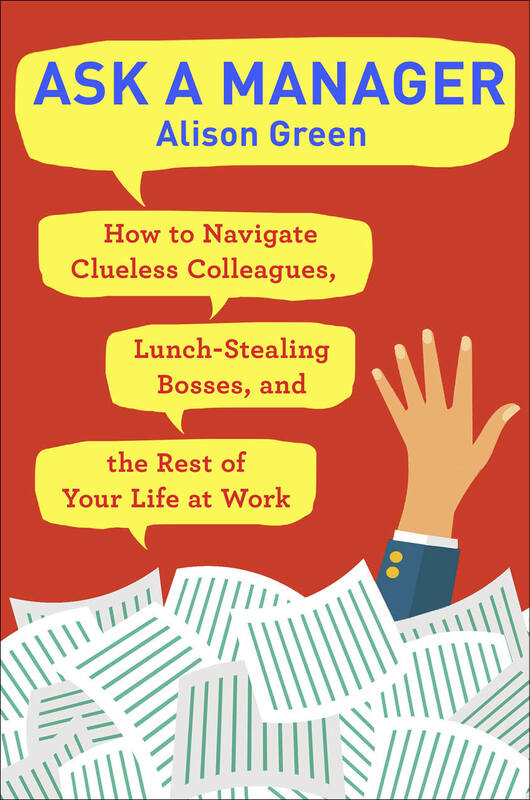 I do think Alison is right about you taking this too much to heart, so if you can convince yourself to worry less about this, I would encourage it–I doubt that the workplace had the expectations of your contribution that you seem to have. It’s quite possible you won’t be asked anything like that question, because it’d be unusual, and if it comes up, I doubt that you’re going to be judged severely for any reasonably sane response. If it does, you can say that of course you couldn’t fill Mary’s shoes but you were happy to help however you could with the project. Had they suggested that they might hire out of this internship, or was it just something you were hoping for? Oh, that’s especially disappointing, then. Hopefully the experience will help you to find something else you like as well. I interviewed for a job and got a call back that all references checked out and that if I wanted them to go forward the next step would be that they have all paperwork signed off & then HR would calculate salary based on my experience & they would then call me back with an offer. They even got my social security # and some more info to get things moving. I am praying that this is a good sign & that the offer is worth leaving my current job in which I have worked for over 14 years & the life has been drained from me. (LOL) You just never know. I will stay positive. I guess I need to hear positive reinforcement from others.